Standard - $401.99 X-Large - $401.99 Only 7 left! Do you love Batman, but prefer the darker, gritter Caped Crusader over the more cartoonish or tactical look he sports in many of the movies? 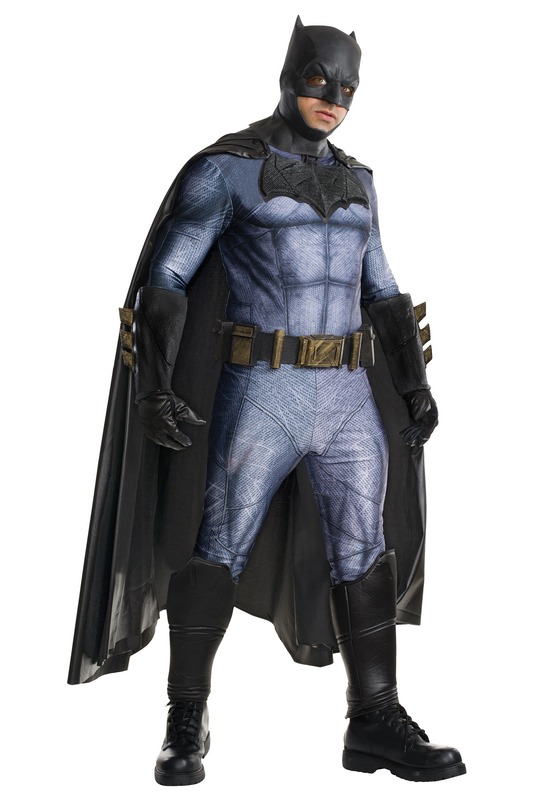 Then suit up in this amazing Grand Heritage Dawn of Justice Batman Costume, and you'll look as menacing and formidable as the Dark Knight does in the superhero epic Batman V. Superman: Dawn of Justice! The Bat has had so many different looks over the decades, we doubt even Bruce Wayne's highly trained mind and detective skills could list them all without forgetting a couple. The good part about that, though, is there is a bat-style for practically every fan to love; and one of our all-time favorites is definitely the tough, brooding suit Batman wears in Frank Miller's classic series The Dark Knight Returns. That version of the bat-suit did away with armor and high tech gadgets altogether, and our hero relied on his sheer brawn and trusty utility belt to fight his battles! So naturally, we're huge fans of the suit in Batman V. Superman, which follows the same concept, and shows off just how much of a musclebound fighting machine The Bat really is! This awesome, officially licensed costume from the Grand Heritage collection gives off plenty of dark, gritty vibes to go with your superhero look! 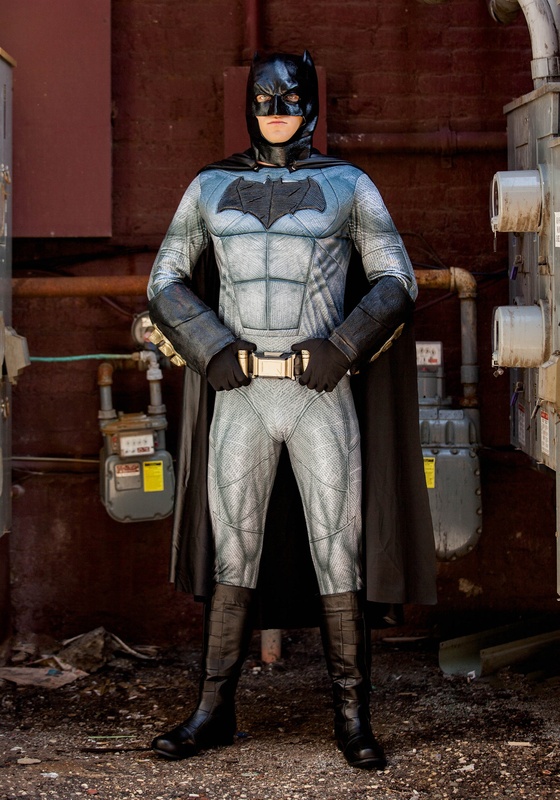 It features high quality stitching and printed detailing, and the suit is padded to give you Batman's muscular physique. 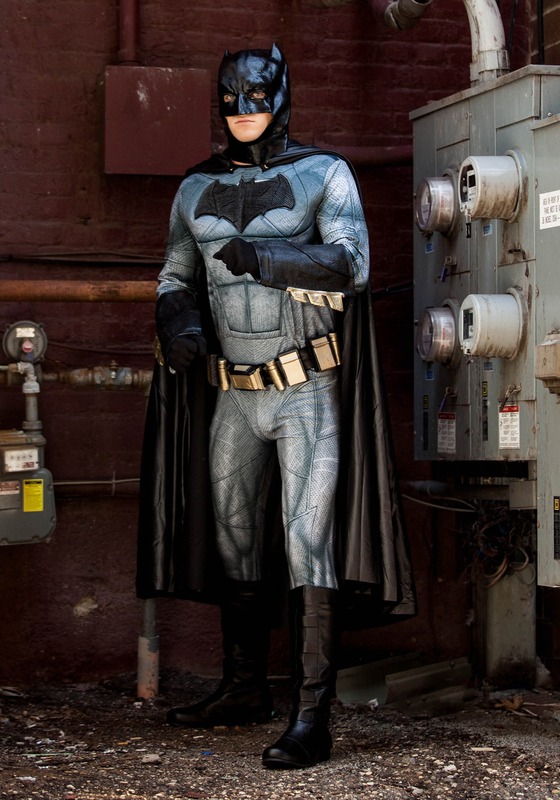 It also includes a cape, cowl mask, and a utility belt with molded plastic details attached for added authenticity. It's the perfect superhero look for any Halloween party, or even for putting together your very own Justice League!